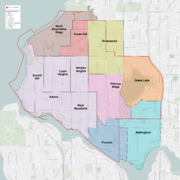 ^ "General and Special Elections - CityArchives | seattle.gov". 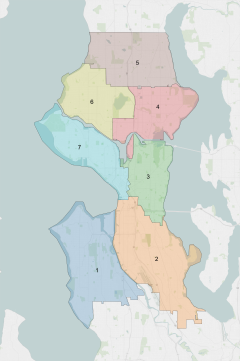 www.seattle.gov. Retrieved February 14, 2019. "Seattle City Council Members, 1869–Present Chronological Listing". Seattle City Archives. Retrieved January 16, 2019. This page was last edited on 12 April 2019, at 02:04 (UTC).